If you’re looking for something positive about Nebraska baseball right now, consider the hitting of Scott Schreiber. And yes, you’ve heard that here before, just a week ago in fact. Except for a brief stretch early, Schreiber has shown that most of the season, which is why he leads the team in most offensive categories. He’s batting .389 and has a .708 slugging percentage. “He’s hitting pretty much everything,” Erstad said. Not so his teammates, at least not consistently, as we segue into the negative. 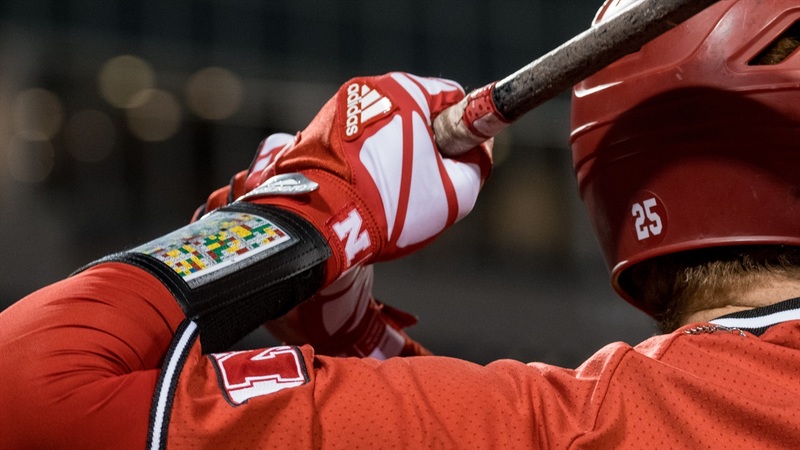 The Huskers have scored 174 runs in 28 games, effectively the mid-point of the season, but they’ve scored two or fewer runs seven times and allowed 163. That translates into a 14-14 record overall, including 2-4 in the Big Ten. Instead of contending for the regular-season title, which they won last season, they’re just trying to earn a spot in the conference tournament – there are eight. Nebraska’s pitching problems because of injuries have been well-documented, with young pitchers forced to step in and learn “on the fly,” said Erstad, who has used 17 in all. Robbie Palkert pitched 4.2 innings of relief in two games without allowing an earned run before being sidelined for the season. Reece Eddins and Jake McSteen are just returning. And now Zack Engelken, who had a 1.54 ERA in eight relief appearances, has had to shut down. Injuries aren’t limited to pitchers. Infielders Brison Cronenbold and Angelo Altavilla won’t make the trip to Michigan State this weekend, Cronenbold from an on-going back issue, Altavilla because of a hamstring problem from last weekend. He should be back sooner rather than later. Erstad said he didn’t run the risk of aggravating Altavilla’s injury in the cold weather forecast for East Lansing this weekend. The three games, against a Michigan State team that’s 7-19 overall and 1-5 in conference play, are scheduled for day-time starts: 2:05 p.m., 10 a.m. and 12:05 p.m. (CT). At mid-week, Erstad said the coaches were looking at alternative sites, if there were any, in case the weather prohibited games in East Lansing under Big Ten temperature rules. “It’s kind of what I expected with having a lot of arms out on the mound. You’re just going to be on a rollercoaster ride,” Erstad said of the turn the season has taken. “We’ve shown signs of playing well, and we’ve showed signs of setting the game back a hundred years the way we’ve played. He didn’t name those spots or the guys. But he was not referring to Schreiber.